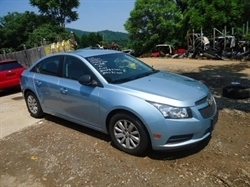 Stock# C866RGAK USED 2017 Chevrolet Cruze | Bedford, Virginia 24523 | East Coast Auto Source, Inc. PREVIOUS LOW WATER FLOOD, STORM DAMAGE, RUNS AND DRIVES, SERVICED, INSPECTED AND READY TO GO! Hello, I would like more information about the 2017 Chevrolet Cruze, stock# C866RGAK. Hello, I would like to see more pictures of the 2017 Chevrolet Cruze, stock# C866RGAK.